Cappadocia is a geographical term rather than a province in Turkey. 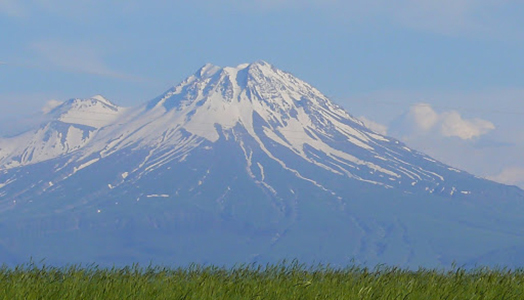 It is the volcanic land between the two great volcanoes, Mt. Hasan and Mt. 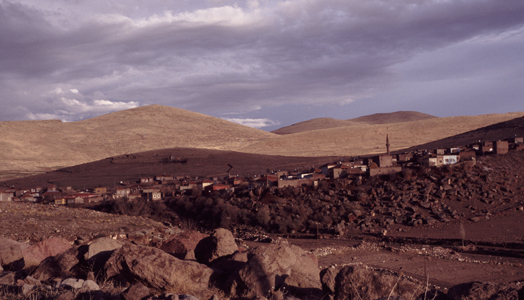 Erciyes, to the east and west respectively; the Aladaglar (Crimson Mountains) range to the South, and Kizilirmak river in the North. Thanks to the soft volcanic material, (tuff) and the erosion of millions of years by the wind and the rain, whole area looks like a fantastic, fairy-tale land. Strange rock formations take the form of huge boulders jutting out from the ground at some places and at others times they form, eye pleasing, smoothly curved valleys. Varying in colour and shape, these “fairy chimneys” (as they are called in Turkish) and the beautiful valleys make one of natures most surprising masterpieces. 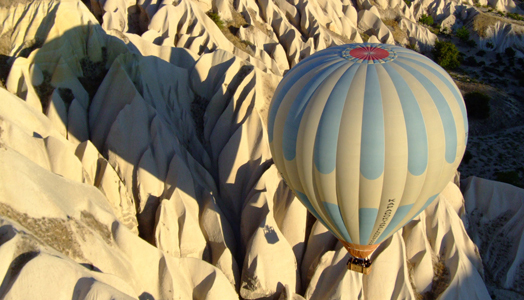 Cappadocia has three defining characteristics..
First and by the far the most striking is the geologic characteristic. The erosion of the “tuff” (volcanic ash) that is abundant in the area, a relic of the series of many eruptions from 15 million years back, has created an amazing landscape here. Apart from all other features of the area, only this incredible landscape is enough reason to be here. Second is the incredibly rich historical background. The first settlement in the area goes back to prehistorical ages. Pottery making is known to be an ancient art since Hittite times (1800 BC) in this area and is continued in the ancient traditional ways. 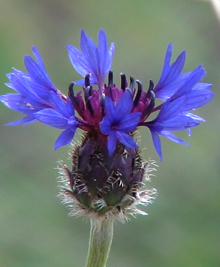 But the most prominent historical characteristic of the region is from the early Christian period. 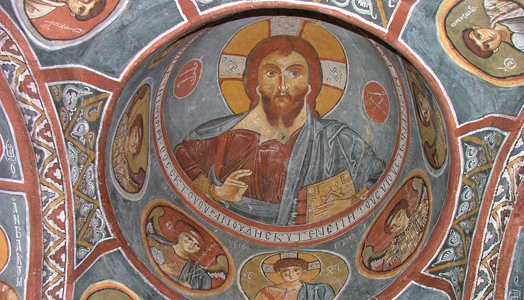 The first communities started to form in Cappadocia as early as 60 A.D. And Cappadocia has become a refuge for the early Christians escaping Roman persecution. Many of the caves and rock cut churches still have nice decorations and icons from very early Christian art. Third is the rich cultural traditions that continue to live in the area among villagers despite the great amount of tourism going on. You can easily see villagers riding their horse carts to their vineyards or tending their orchards in the old traditional ways. In autumn you can come by people drying fruits or making grape molasses and many other village activities as they have done for hundreds of years. These three characteristics make Cappadocia a very interesting destination for travelers who enjoy experiencing, nature, history and culture. Cappadocia is hard to put into words. Unique and pretty much incredible, it is one of those places that you must see with your own eyes to believe! 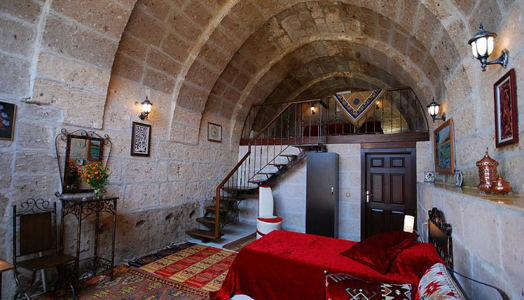 Hi, Me and my girlfriend will be in cappadocia finishing a tour on sunday october 19th overnighting at mdc cave hotel. We have opted to extend our trip with 1 day to rent bikes and guide for a day, monday 20th for an extensive day tour (advanced) around goreme . We will be in Turkey in Sept 14 to Oct 3rd 2014. 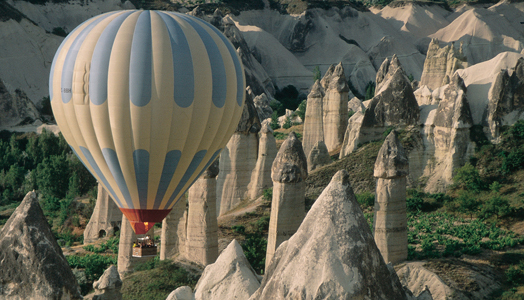 We are very excited about a possible cycle trip in Cappadocia. Is there time to organize a multiday trip. We enjoy mt biking, trail riding and some road riding. We daily and are in decent shape. A 5 to 7 day trip would be great. What are the options for us? We are coming from Canada and would need to rent bikes. Dear Linda and Paul. Thanks for your message. We have great options in Cappadocia during the last two weeks of September… You might like to join our Cappadocia Singletrack MTB group tour (September 20-27). 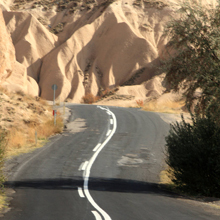 Alternatively, we can offer a guided or self-guided itinerary on the very popular Cappadocia Adventure Biking tour- a mix of singletrack trails, dirt roads and quiet country lanes touring. 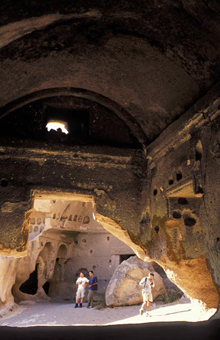 We can also offer centre based guided tours from our base in Goreme. I’ll email you with some more details. Thanks again! 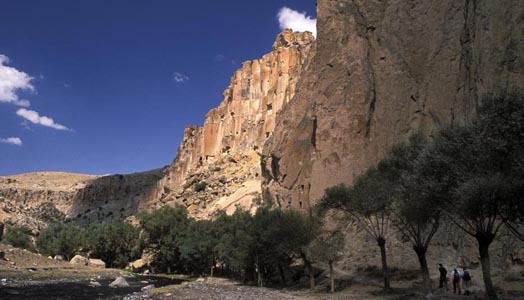 Hi my girlfriend and i Will arrive in cappadocia on the first of July to go hiking. Is it possible to do a 1 Day Nike trip without a guide?we dont want one that is too difficult. Can you please let me know of bike tours you have available this weekend, with times and prices. Thanks. My wife, sister-in-law and I will be in Istanbul May 24-26th. 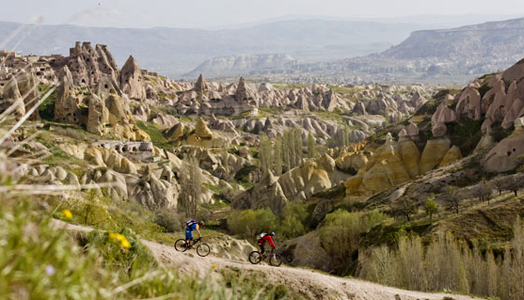 We’d like to visit Cappadocia and cycle for several days. Do you have any trips planned around that time? My boyfriend and I will be in Cappadocia August 28th and 29th. Do you have any tours for those dates? Hi Jessie. We don’t have any group departures but can organise you a personal guided tour- either road or MTB are available at any level that suits you. If this might be of interest please drop us a line!